BARACOA, Cuba, May 19 2017 (IPS) - A battered bridge connects the centre of Baracoa, Cuba´s oldest city, with a singular dark-sand sandbar, known as Tibaracón, that forms on one of the banks of the Macaguaní River where it flows into the Caribbean Sea in northeastern Cuba. Just 13 wooden houses with lightweight roofs shield the few families that still live on one of the six coastal sandbars exclusive to Baracoa, a mountainous coastal municipality with striking nature reserves, whose First City, as it is locally known, was founded 505 years ago by Spanish colonialists. These long and narrow sandbars between the river mouths and the sea have a name from the language of the Araucan people, the native people who once populated Cuba. The sandbars are the result of a combination of various rare natural conditions: short, steep rivers, narrow coastal plains, heavy seasonal rainfall and the coral reef crest near the coast. Local experts are calling for special treatment for these sandbars exclusive to islands in the Caribbean, in the current coastal regulation, which is gaining momentum with Tarea Vida (Life Task), Cuba´s first plan to tackle climate change, approved on April 27 by the Council of Ministers. Baracoa, with a population of 81,700, is among the municipalities prioritised by the new programme due to its elevation. Authorities point out that the plan, with its 11 specific tasks, has a more far-reaching scope than previous policies focused on climate change, and includes gradually increasing investments up to 2100. “I was born here. I moved away when I got married, and returned seven years ago after I got divorced,” dentist María Teresa Martín, a local resident who belongs to the Popular Council of La Playa, a peri-urban settlement that includes the Macaguaní tibaracón or sandbar, told IPS. 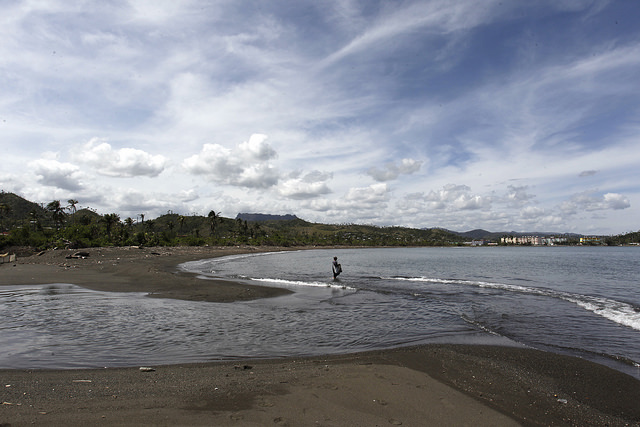 The sandbar is the smallest in Baracoa, the rainiest municipality in Cuba, while the largest – three km in length – is at the mouth of the Duaba River. “It’s not easy to live here,” said Martín. “The tide goes out and all day long you smell this stench, because the neighbours throw all their garbage and rubble into the river and the sea, onto the sand,” she lamented, while pointing out at the rubbish that covers the dunes and is caught in the roots of coconut palm trees and on stranded fishing boats. The Macaguaní River runs down from the mountains and across the city, along Baracoa bay, which it flows into. It stinks and is clogged up from the trash and human waste dumped into it, one of the causes of the accelerated shrinking of the tibaracón. “We even used to have a street, and there were many more houses,” said Martín. The 25 members of the Association of Caribbean States (ACS) approved on Mar. 8 in Havana a regional project to curb erosion on the sandy coastlines, promote alternatives to control the phenomenon, and drive sustainable tourism. The initiative, set forth by Cuba during the first ACS Cooperation Conference, in which governments of the bloc participated along with donor agencies and countries, including the Netherlands and South Korea, was incorporated into the ACS´ 2016-2018 Action Plan, which will extend until 2020. The project, currently in the dissemination phase to raise funds, already has a commitment from the Netherlands to contribute one billion dollars, while South Korea has initially offered three million dollars. The initiative will at first focus on 10 island countries, althoug others plan to join in, since the problem of erosion of sandy coastlines affects local economies that depend on tourism and fishing. “We have lost other communication routes with the city. We have to evacuate whenever there is a cyclone or tsunami warning,” said the local resident, who is waiting to be resettled to a safer place in the city. 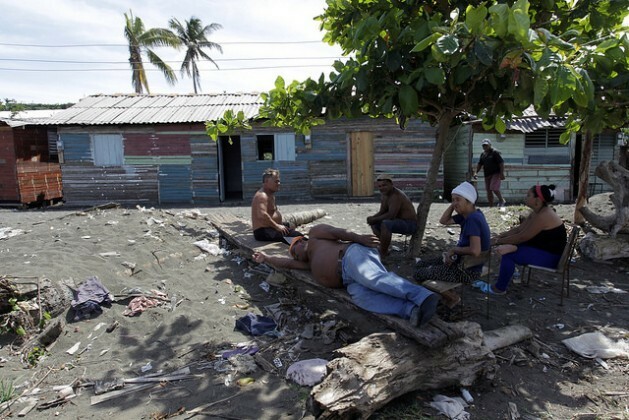 Local fisherman Abel Estévez, who lives across from Martín, would also like to move inland, but he is worried that he will be offered a house too far from the city. “I live near the sea and live off it. If they send us far from here, how am I going to support my daughter? How will my wife get to her job at the hospital?” he remarked. 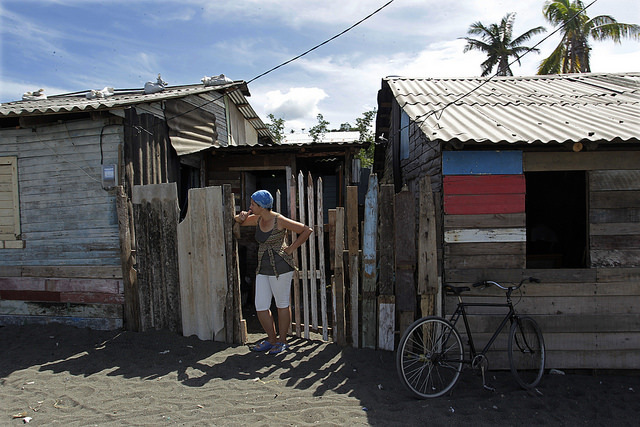 Coastal regulations establish that municipal authorities must relocate to safer places 21 communities – including La Playa – along the municipality’s 82.5 km of coastline, of which 13.9 are sandy. The disappearance of the tibaracones would change the “coastal dynamics”, explained the geographer. “Where today there is sand, tomorrow there could be a bay, and that brings greater exposure to penetration by the sea, which puts urban areas at risk and salinises the soil and inland waters,” he told IPS. He said that these sandbars are affected by poor management and human activities, such as sand extraction, pollution and indiscriminate logging, in addition to climate change and the resulting elevation of the sea level. He also pointed out natural causes such as geological changes in the area. In his opinion, the actions to protect the sandbars are band-aid measures, since they are destined to disappear. He said this can be slowed down unless natural disasters occur, like Hurricane Matthew, which hit the city on Oct. 4-5, 2016. Suárez is the author of a study that shows the gradual shrinking of the tibaracones located in Baracoa, which serve as “natural barriers protecting the city”. He also showed how the population has been migrating from the sandbars, due to their vulnerability. In the shrinking community where Martín and Estévez live, between the mouth of the Macaguaní River and the sea, there were 122 houses in 1958. And on the Miel River tibaracón, at the eastern end of the city, there were 45 houses in 1978, while today there are only a few shops and businesses. The unique Miel River delta used to be 70 metres wide in the middle of the last century, while today the narrowest portion is just 30 metres wide. In Macaguaní, meanwhile, the shrinking has been more abrupt, from 80 metres back then, to just six metres in one segment, the study found. The expert recommends differentiated treatment for these ecosystems, which are not specifically contemplated under Decree Law 212 for the Management of Coastal Areas, in force since 2000, which is the main legal foundation for the current land-use regulation which requires the removal of buildings that are harmful to the coasts. Suárez said the removal of structures on sandy soil surrounded by water must be followed with preventive measures to preserve the sand, such as reforestation with native species. In the study, he notes that the government’s Marine Studies Agency, a subsidiary of the Geocuba company in the neighbouring province of Santiago de Cuba, proposes the construction of a seawall and embankment to protect the Miel River delta. And he emphasised the importance of carrying out similar research in the case of Macaguaní. Cuba´s Institute of Physical Planning (IPF) inspected the 5,746 km of coastline in the Cuban archipelago, and found 5,167 illegalities committed by individuals, and another 1,482 by legal entities. The institute reported that up to February 2015, 489 of the infractions committed by legal entities had been eradicated. When the authorities approved the Life Task plan, the IPF assured the official media that the main progress in coastal management has been achieved so far on the 414 Cuban beaches at 36 major tourist areas. Tourism is Cuba´s second-biggest source of foreign exchange, after the export of medical services.